This 2 bedroom (one is a loft bedroom), 2 bathroom property at popular Mountain Harbor is just a few steps from the Pool & Hot tub and a short walk to Whitefish Lake. 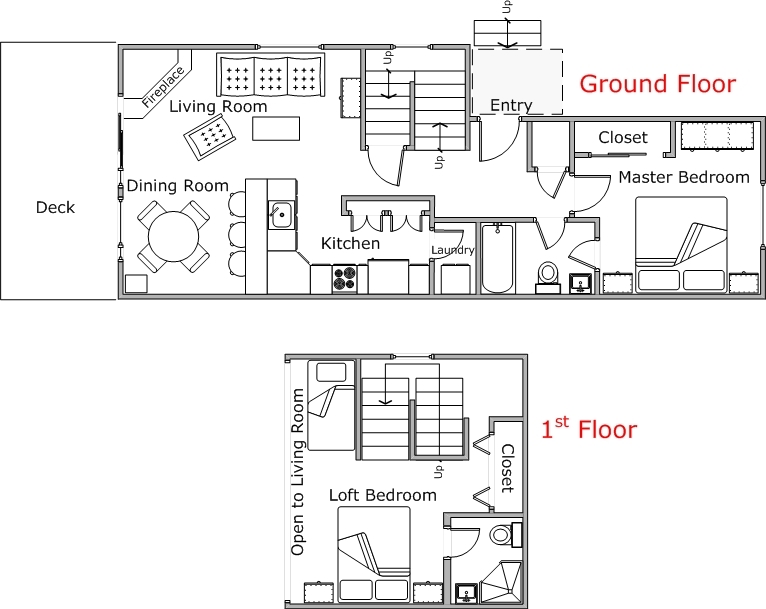 Condo #204 has a Queen in the Master bedroom with a Queen and Twin in the upper loft. 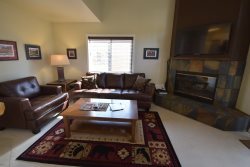 Granite counter-tops in the fully equipped kitchen, wood fireplace in the living room with a flat-screen, and sliding glass door off the dinning area to the deck that offers a BBQ and outdoor furniture that overlooks the pool and hot tub area. This condo has a wall mount air conditioning unit upstairs.